Super Health Sprays – All You Need! The spray technology offers a better option than pills. It is more efficient, safe and convenient. Natural nutrients in Super Health sprays are delivered into the blood stream bypassing the human gastrointestinal tract. The sprays are a quick and effective way to get your vitamins and minerals daily – all their ingredients are of higher quality and get absorbed more effectively than the same supplements in pills. Why Super Health Sprays Effective? 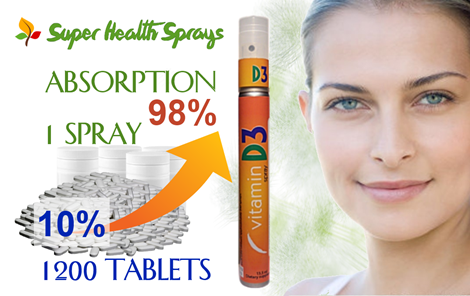 The key factor here is a 98% absorption rate of sprays against only 10% as it is with pills. Each spray is formulated free from all the extras, which are used in pills, such as shellac, talc, waxes, colouring, etc. Vitamin D3 and K2 work together to increase specific proteins in the body which guarding against calcium build up in coronary arteries rather than in bones. While Vitamin D helps calcium absorption in the body, vitamin K serves as the biological “glue” to plug calcium in the bones improving bone density.This blend can help stave off varicose veins and lower a risk of diabetes. A powerful mix of essential antioxidants ( Zinc, Vitamins E & D3) and the essential amino acid (L-Lysine). This complexer will strengthen your immune system and improve your resilience to cold and flu. It will also help repairing damage to blood vessels and cell caused by toxins and oxidants; in addition it improves production of collagen. Keeping blood levels high in CoQ10, helps you maintain your vitality and feel young. Ubiquinol – the active non-oxided form of CoQ10 which provides essential energy for your cells and protects them against oxidation stress. It strengthens your heart and overall cardiovascular system. Ubiquinol supplements is up to 6 times more effective than ubiquinone. Effective blend of 5-HTP and L-Theanine to improve your sleep cycle, boost your neurotransmitters serotonin that helps your body to make melatonin (produced by the pineal gland in darkness). L-Theanine (found primarily in green tea) supports T cells production. This complexer is a natural metabolic booster designed to increase energy in cells while efficiently burning excess fat and supporting a healthy metabolism. Its ingredients include Vitamin B5, Vitamin B6, Zinc, L-Carnitine, Coenzyme Q-10 and Hydroxycitric acid. Promotes calcium absorption for healthy bones and teeth. Support immune system’s response to cold and flu. Helps prevention of different types of cancers. Reduces a risk of diabetes, heart disease and hypertension. Necessary for healthy tissue in the pancreas, breasts, colon, and prostate. A powerful blend of vitamins (Vitamin A, C, D3, E, Biotin, Thiamine (B1), Niacin (B3), Pantothenic Acid (B5), B6, Folate (B9) and B12) is designed to support immune system; organs function; formation of red blood, nerves and muscles; prevention of skin and nerve problems; fighting toxins. Iron Boost is a natural source of dietary iron to increase energy and maintain the sufficient hemoglobin (a primary component of red blood cells that carries oxygen to your organs and tissues) in your body. Iron is also needed for proper metabolism of B vitamins and the production of myoglobin (major protein of muscle cells) and certain enzymes. Fulvic Minerals are organic plant based. They enable our cells to absorb nutrients and antioxidants. They also restore electrochemical balance, reduce high blood pressure and rebuild the immune system. Due to their unique chemical structure, Fulvic Minerals are able to fight free radical damage that contributes to the process of aging. Folic Acid (B9) and other B vitamins (B6 and B12) are essential for the division of body cells. Needed for the utilisation of sugar and amino acid. During pregnancy can prevent spina bifida. Help prevention of some types of cancer and reduce heart disease because they lower homocysteine levels. Necessary in maintaining a healthy nervous system; formation of red blood and synthesis of DNA, helps conversion of fats, carbohydrates and proteins to energy. 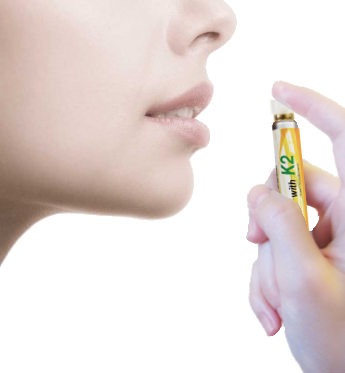 Vitamin B12 provides nourishment to all the cells of the body including our hair follicles. Vitamin B deficiency can lead to a weakened memory. This is a combination of Vitamin B Complex, Vitamin C and a proprietary blend of herbs, designed to help reduce both emotional and physical stress which, in long run, can affect our immune system and lead to depression or the development of an anxiety disorder. ProArgi-9 Plus is was formulated by leading cardiologists and researchers to improve heart and cardiovascular conditions, rectal dysfunction and obesity problems. This unique complexer has many far-reaching health benefits validated by the 1998 Nobel Prize in Medicine. The formula includes naturally sourced L-arginine (amino-acid) which is the ONLY source of nitric oxide (the so-called “miracle molecule”) which helps relaxing the blood vessels, reducing stress on the heart and improving circulation. • Brings back the flexibility into the arteries and better circulation. • Rectifies irregular heartbeat and creates energy in the heart. • Higher blood flow to the nervous system/ repairs nervous system. • Energy – physical and mental. • Recovery from training and improved muscle flexibility. Energy drinks are available in a variety of delicious flavours which include Chocolate, Caramel, Vanilla, Banana, Cherry and Strawberry. Gluten free. Clinically free from lactose, cholesterol and purine. e9 Energy is the effective natual product which will help to boost your stamina required to meet your life’s demands. The product unique formula will keep you stay alert and energized. Most of energy drinks on the market are simply full of sugar and nothing more. e9 Energy is a combination of the power of pharmaceutical grade L-arginine with high-quality ingredientsnatural igredients (vitamins, natural caffeine sourced from guarana and other herbal extracts) plus Pina Colada flavour. Take e9 Energy daily and get full of energy again! • Long-lasting, healthy energy through a unique, low-calorie formulation. • Contributes to normal psychological and mental function. • Plays a role in the reduction of tiredness and fatigue. • Supports the body’s natural ability to produce energy Contributes to normal, energy-yielding metabolism. • Great-tasting Pina Colada flavour. 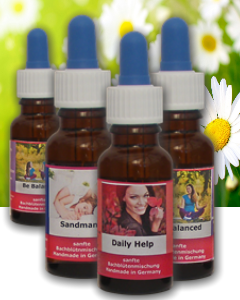 Bachensien Flower Essences™ is a great collection of natural solutions designed to balance out emotions and some physical ailments. Using the best quality of raw material for best results, Bachensien Flower Essences offers you our unique proprietary formula line which is 20 times more concentrated and potent than other flower essence products on the market. Numerous books on the flower remedies, based on Dr Bach’s research, demonstrate how flower therapies can be a powerful tool for healing individual symptoms and restoring balance to one’s life. The years of studies and diagnostics by practitioners have produced a body of solid knowledge on using flower remedies in alternative and veterinary medicine for innumerable emotional and physical ailments. • For relaxation and peace. • For work or study. • For makes learning easier. • For getting better concentration. • For help with daily stress. • For a more harmonious co-existence with surroundings. • For calming down anxiety. • For feel free and tune. • For nerves of steel. • For change eating habits. • For a great body. MiTouch™ – Enjoy Drug-Free Pain Relief! Pain in back or knees is a part of everyday life for many people. No more aspirin or other painkiller drug is needed to get relief! 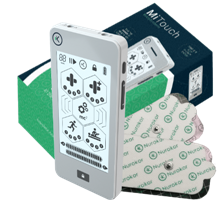 MiTouch is the advanced medical unit designed to alleviates pain by passing bio-friendly frequencies through the skin. It can be used for a number of different conditions: chronic pain, musculoskeletal disorders, surgery, injury, muscle strain, cramps, labour pain and more. MiTouch is based on over 50 years of research and provide the best option for physiotherapy of injury or surgery recovery. It can also be used as a workout aid to improve exercise performance. e-CHIP (I LIKE™) is a unique protection against electro smog radiation caused by frequencies used in mobile and wi-fi communication appliances. 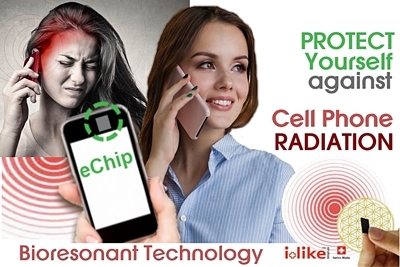 The e-CHIP converts radiation into harmless waves by upgrading it to a positive bio resonance. This product was designed by scientists from Switzerland in collaboration with international researchers and experts in the fields of physics, traditional and alternative health. There is a proprietary magnetite-mineral mixture which is embedded in a chip. The chip can be easily attached to a mobile phone. It gets activated and charged through specific impulses provided by a special wave emission technology. 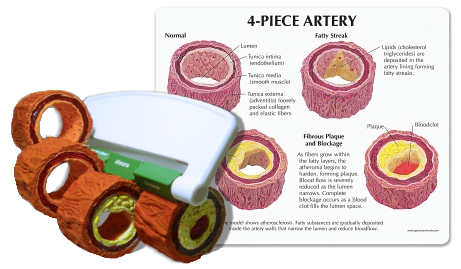 This is an anatomically correct, high-quality three-dimensional anatomical model of cross-section artery to demonstrate arteriosclerosis development through 4 stages: normal artery, fatty streak, fibrous plaque and blockage. The model is a durable and accurately colored to represent the major structures of certain lesions and other abnormalities. Suitable for Cardio-Vascular and general anatomical study, professional training and public education.